In the NBA, it was Game 2 between the Indiana Pacers and the Miami Heat. But, the Heat would have to win this one without Chris Bosh. That would present a difficult challenge for them, as the Pacers have a very big presence down low in Roy Hibbert and Paul George. The game started out with the Heat doing their thing and getting out to a sizable lead. It didn’t hurt that LeBron scored 28 points and grabbed 9 rebounds. They looked to be on their way again. But, in the second half, the Indiana Pacers… came alive. David West had a spectacular night for the Pacers with 16 points and 10 rebounds. The game was quite close with just a few minutes to play, and everybody thought the Heat would take it. Except… they couldn’t hit their free throws, and that includes LeBron. And somehow, the Pacers found themselves up 3 points with just under 10 seconds to go. Who would take the shot for the Heat? Um… Mario Chalmers. He took it, and missed it, and the Pacers stole a game from the Heat IN Miami. Wow! Indiana 78, Miami 75. Next up, it was Game 1 between the Los Angeles Clippers and the San Antonio Spurs. And you better believe that that the Spurs were hungry to play. The Spurs came out hard from the beginning, but it took them a bit to pull away. In the meantime, the Clippers saw an emerging hero step up in young second-year point guard Eric Bledsoe. He had 23 points and 4 assists. But, once the Spurs pulled away, there was no looking back. Tim Duncan looked like his young self, posting a double-double on the night with 26 points and 10 rebounds. 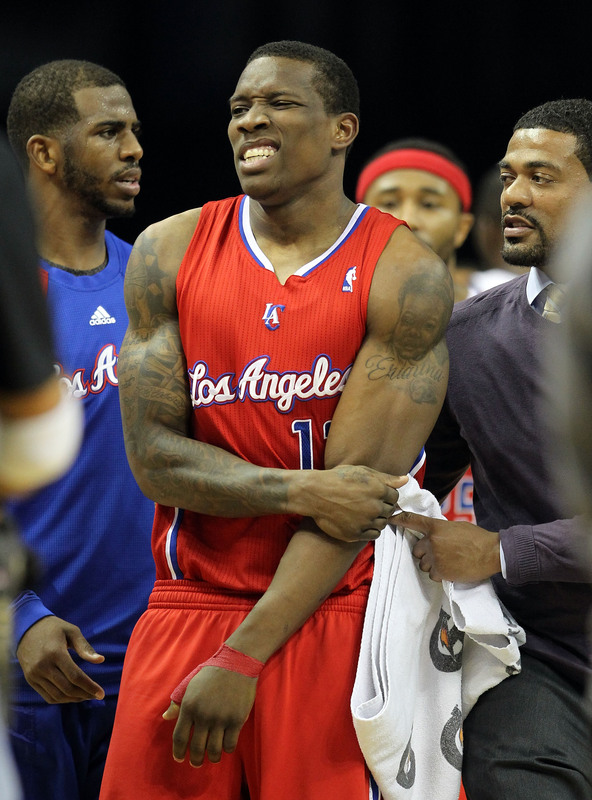 This game could have been a lesson for the Clippers. They might switch up their play to get an edge on the Spurs. Remember, the Clippers are an up and coming team, but they are loaded with stars. If they get hot, the Spurs better watch out. San Antonio 108, LA Clippers 92. 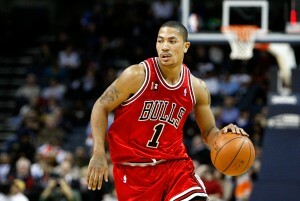 And finally, in some disturbing NBA news, it looks like Derrick Rose’s ACL injury is more serious than people thought. He went down in Game 1 in their first round series against the Sixers, and people thought he would be out for the playoffs. But now, according to doctors, it appears that Rose might have to be out 8 – 12 months. So, best case scenario, Rose doesn’t come back until after the all-star break NEXT SEASON. And, at worst, the Bulls will have to make the playoffs without Rose next year, then hope that Rose can join them in the post season. This is very bad news for the Bulls organization who were hoping they had a Hall of Fame player at full strength for at least the next 8 years.